I’ve mentioned before that “cute food” is not really my strong suit. Chocolate Robin’s Eggs Nests is about as cute as it gets around here. Despite my lack of craftiness, I love creating traditions around the holidays, and, unsurprisingly, many of my favorite traditions revolve around food. Certain dishes from my childhood are inseparably linked to the holidays: Mom’s Custard Pie at Thanksgiving, Pecan Pie Bars at Christmas, and Amish Chicken and Noodles for every family reunion. A friend of mine introduced me to these Resurrection Rolls several years ago, and they’ve quickly become my favorite Easter tradition. Even before our little guy came on the scene, we loved making these sweet, sticky disappearing marshmallow rolls for the holiday. These resurrection rolls are so ridiculously easy to make and also unexplainably, insanely delicious. Like WHOA. 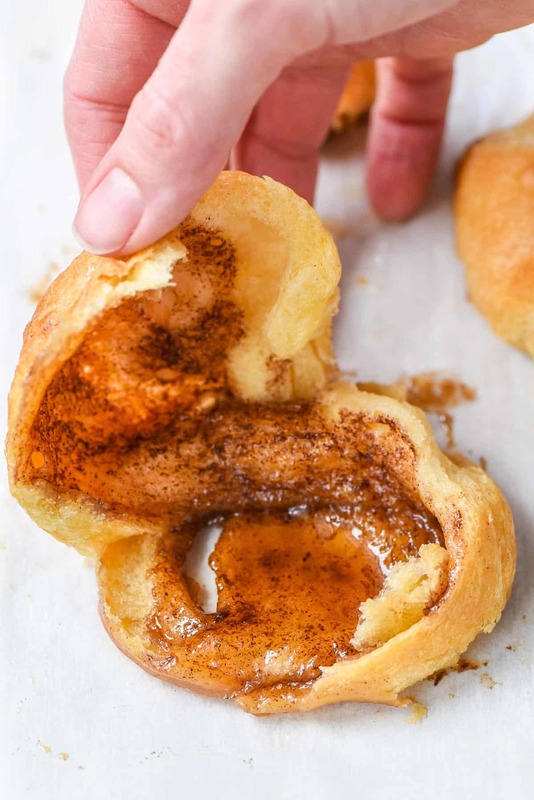 Butter, cinnamon, marshmallows, and crescent rolls have no business tasting this delicious. But perhaps the best part of these rolls is the story that goes along with them. Resurrection Rolls are a wonderful way to engage your kids in the story of Jesus’ death and resurrection. Now, how, might you ask, can a marshmallow and a crescent roll possibly share the story of Easter? Start by gathering all your ingredients together. Mix up a bowl of cinnamon and sugar. Melt some butter. Grab some marshmallows and open and separate a tube of crescent rolls. Bring the kiddos to the table. Begin the story by telling them about Jesus’ death on the cross and resurrection from the dead. You might want to read Mark 15 and 16 together. Now, share what each of the ingredients represents. Have the children each take a marshmallow, which represents Jesus. Have them dip the marshmallows in the butter and then roll it in the cinnamon and sugar. This represents the way the women prepared Jesus for burial by anointing him with oil and spices. 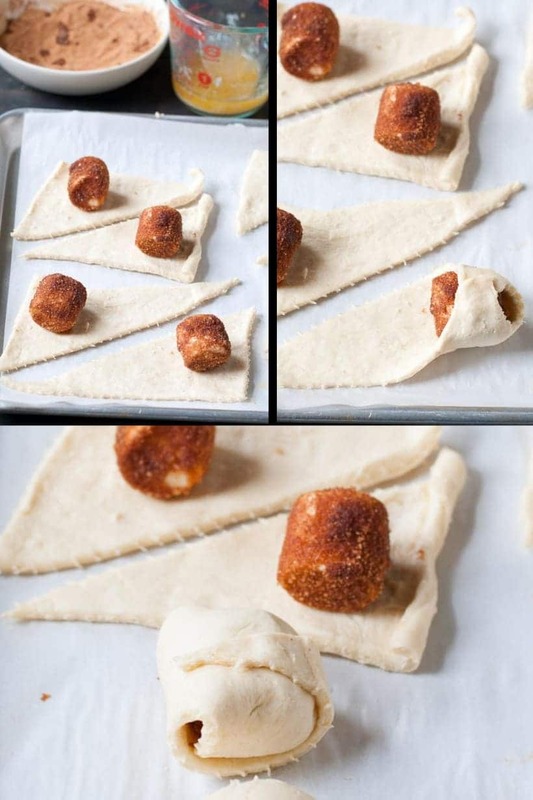 Place each marshmallow in the center of a crescent roll and wrap it up, tucking and sealing the ends well. The crescent roll represents Jesus’ grave clothes. Put the rolls on the baking sheet and place them in the tomb (oven) and seal the tomb with a big rock (the oven door). While the rolls bake, the marshmallow will disappear, leaving behind nothing but a sweet, cinnamon sugar coating in the center. Remove the rolls from the oven. Once they are cool enough to handle, have the children pull apart the rolls to reveal the (now invisible) marshmallow. Tell them about Jesus’ resurrection and how, when the women arrived at the tomb they found it empty. Jesus had risen from the dead! After telling the story, you can give thanks with your kids for the gift of Jesus death and resurrection and for the gift of ooey, gooey, sweetly spiced rolls. Sealing the rolls as tightly as possible is important so the marshmallow doesn’t leak all over the pan. However, if you do get some leakage, don’t fear! The rolls will still be absolutely delicious! Watch the video to see a step by step of these Easy Resurrection Rolls! I hope you and your family have a wonderful Easter, and that the great gift of Jesus’ life, death, and resurrection brings you hope and joy. 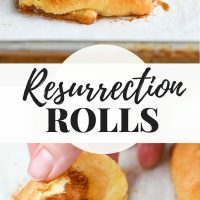 Easy Resurrection Rolls are a tasty, cinnamon sugar treat that helps families share the story of Easter with their children. Melt butter in a small, shallow dish. In another shallow dish, stir together sugar and cinnamon. Roll out crescents and divide along perforations. Dip a marshmallow in the butter, then the cinnamon sugar mixture then place it in the center of the crescent. Fold up the top two corners then roll the crescent up to the skinny end. Seal up all the edges super tight, making sure there are no holes. Repeat with remaining crescents and marshmallows. 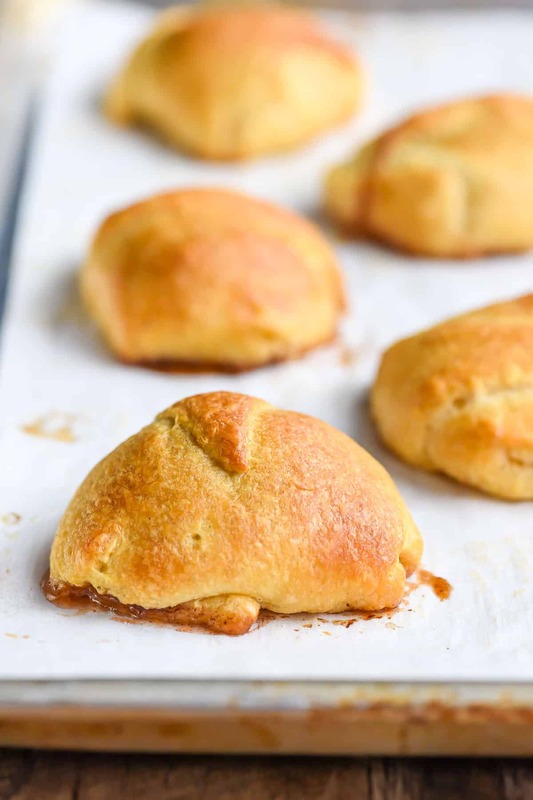 Place crescents on a rimmed baking sheet lined with parchment paper. If desired, mix together remaining butter and cinnamon sugar and brush it on the top of the crescents. Place in the oven and bake for 11-13 minutes or until crescents are light golden brown and puffy. 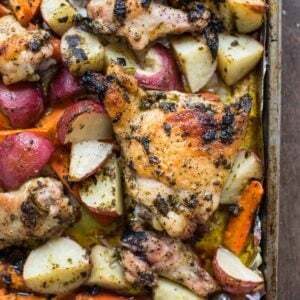 I got this recipe from a friend at church, but there are versions of it all over the Internet. 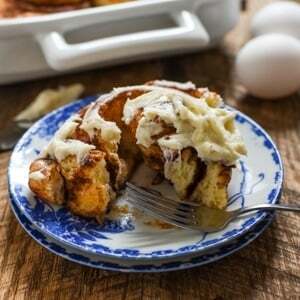 Who the originator is, I’m not sure, but they came up with one amazing sweet roll! That´s a story that would certainly have the kids attention. Interesting combination of flavors! They do sound amazing. Ok – these rolls sound so yummy, and I love the story for the kids! Doubly great! Oh my gosh, I need these cinnamon rolls! So beautiful! Seriously goodness with cinnamon and crescent rolls. Fun story to share with kids while making them too. They’re so easy and fun to make. Can’t complain when something requires getting your fingers covered in buttery cinnamon and sugar! WOW…those looks gooey and delicious! My kids would love these. What a fun recipe. I’ve heard of resurrection rolls but never have I seen them explained so well, it makes much more sense now, lol! And, just as importantly, they look incredible. So sweet and gooey and yummy! Can these rolls be made without all the sweetness and just have as dinner rolls for Easter 🐣? Easy treat! Thanks for sharing! Mmmmm….my kids would love these! And who knew you could teach religion via cinnamon rolls? I really miss Sunday School although, I have been going for worship service and some Community Service Activities. As a widow, I’ve found most of the classes are for couples so I livestream FBC back home and do not Sunday School, as these classes have been awkward so far. I thought it was pretty cool too, and a great way to share the story with kids. I’m sure it would keep their attention! That’s an awesome story! 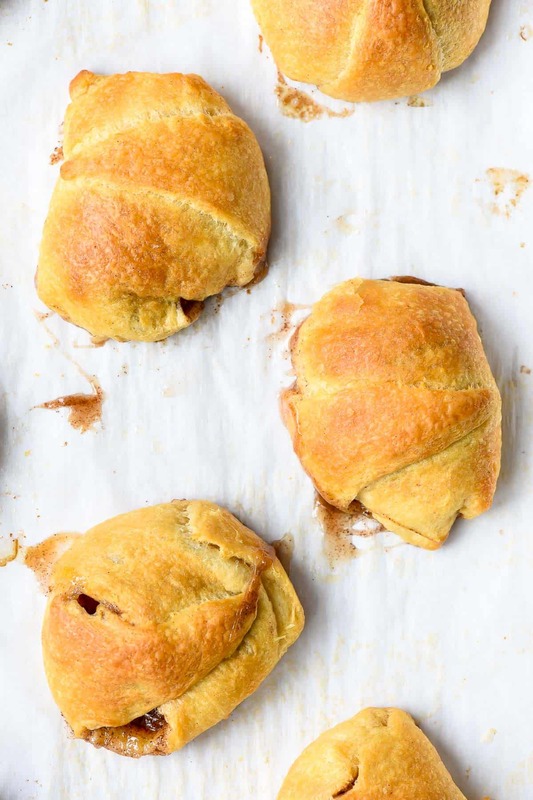 It’s funny how so many yummy treats start with those crescent rolls! That’s the truth! They’re also the start to my favorite apple dumplings! I normally don’t like marshmallows but baking it like this in these cinnamon cresent rolls sounds good. Yeah! They really don’t taste a whole lot like marshmallows–the mallow just gives it the gooey center that I love! I see some resurrection rolls in my future…. mmmmmm…. Never heard of these, but I think it’s a great way to explain the story! Cinnamon and marshmallow? Oh man. Oh boy. I want these rolls! I think is the best way to tell the resurrection story, ever. I declare myself a hugh fan of your rolls since now. Haha! Thank you! It is hard to argue with cinnamon rolls and resurrection. Courtney, I really want to make these with my daughter this year! I was going to look up a recipe but now I don’t even have to. You rock. PS I seriously love thinking of you wearing your gap t-shirt. It’s almost as bad as the tickle-me-elmo sweater I wore in 7th grade. It had a battery operated button that made Elmo laugh when you pushed on him. ok, none of mine looked like that and I even tried the two crescent techique lol they all turned in to crescent blobs! 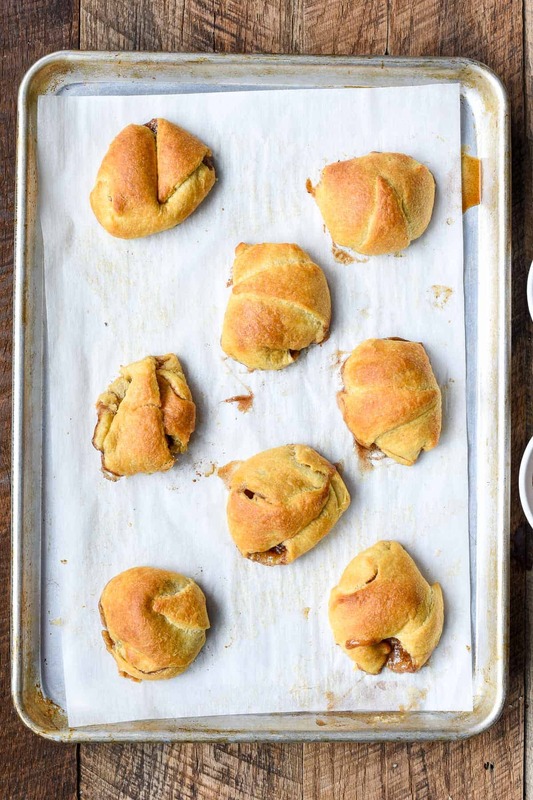 Im going to try baking some of these rolls on Easter Sunday….I can not WAIT!!!!! I teach at a Christian preschool and I make these with my Pre-K class every year. I put them in muffin tins lined with parchment (I write each child’s name on the parchment) instead of using a baking sheet – that helps to contain the mess in case any of the marshmallows try to “escape”. They are always a hit and they’re a wonderful, hands-on way to teach the true story of Easter.